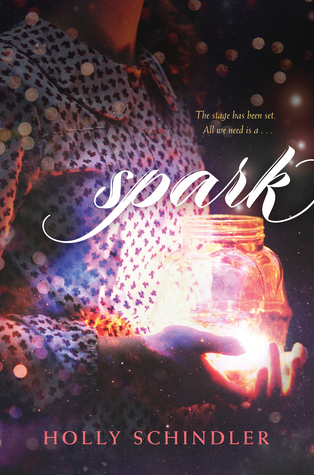 Its been a while since we have had an #Authorchat and were excited to have Holly Schindler return to share her newest book Spark with us! Please join us today at 2pm EST via the links below! And don't forget to enter the giveaway! Holly Schindler writes for all ages from her home in Springfield, Missouri. Her YAs are critically acclaimed and award winning, and her Midwest roots often make an appearance in her books for teens. Readers, librarians, teachers, and book groups can keep up with the latest or get in touch at www.hollyschindler.com. This was a very magical book. About a set of cross stared lovers who died and a theater who died right along with them. Now unlike other books where you would be in one of the POVs of the new star crossed lovers. Spark gives you an outside view of a new director which was a great new way to read a story. I really loved the descriptive parts of this book it did make it a little longer but also made it very beautiful. The story flows right along with the characters while you try to figure out why and how Emma and Nick died. The characters, story, and plot were wonderful and inventive. And this is one of my favorite books that Holly has written so far. Spark - Holly Schindler from Holly Schindler on Vimeo.